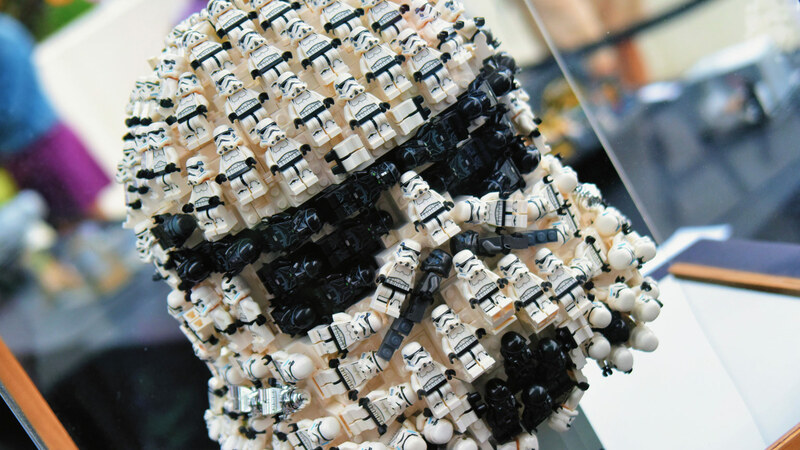 From building contests to fan-made dioramas, everything was awesome at LEGO Star Wars Days. 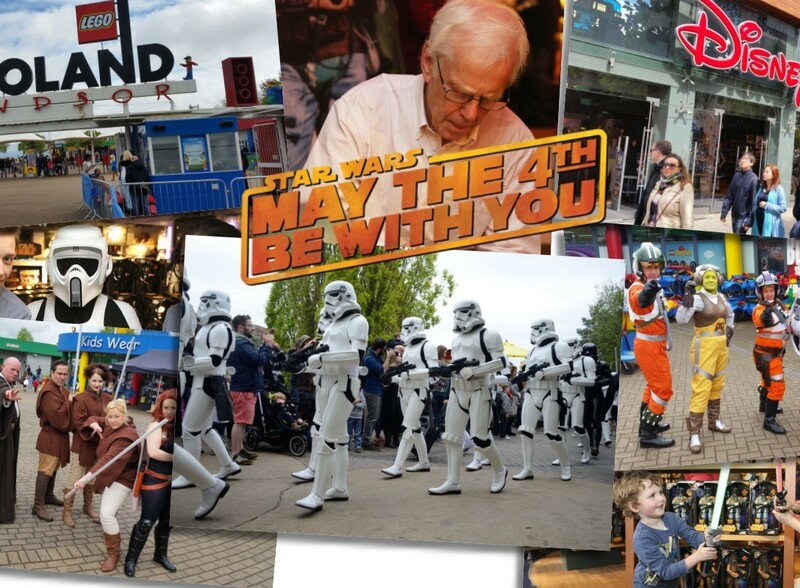 With Star Wars Celebration this past April, and the 40th anniversary celebrations of A New Hope in May, some might think the Star Wars party has wrapped up — but LEGOLAND California kept the celebration going into June with their annual LEGO Star Wars Days. 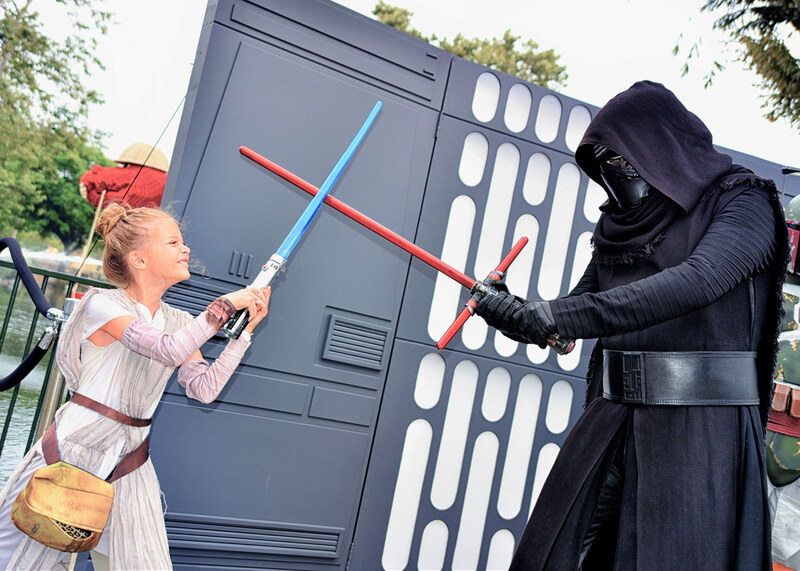 This weekend festival of the Force brought out tons of fans to the theme park in Carlsbad over June 3 and 4, 2017, with a whole Star Destroyer-load of fun events. 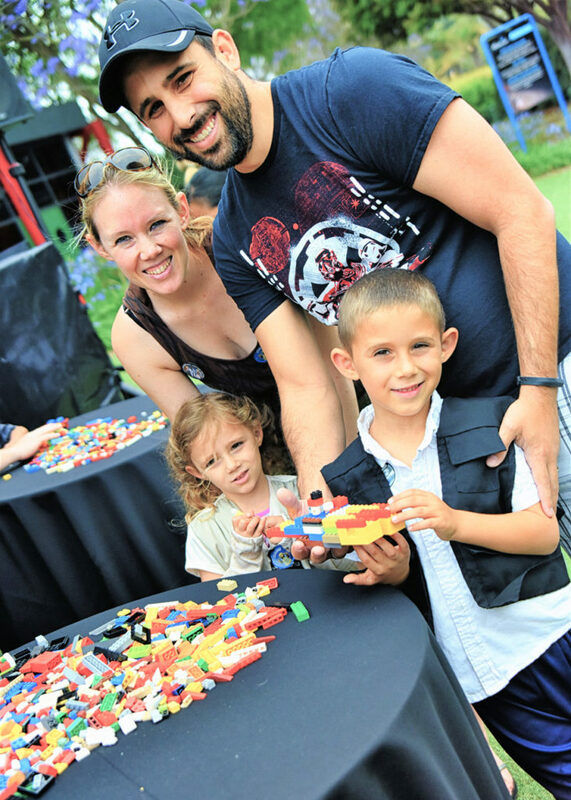 The area surrounding LEGO Star Wars Miniland turned into a festive hive of fun and activity with costume, trivia, and speed building contests, scavenger hunts and droid hunts, costumed-character meet and greets, as well as a display area of fan-made LEGO models and artwork. But the Star Wars party didn’t stop in Miniland — in addition to more costumed-character photo ops in the entry plaza, including a Death Star corridor backdrop, the Show Place Theater showed LEGO Star Wars: Droid Tales, and on Saturday, held Q&A sessions after each episode with the show’s writer and executive producer, Michael Price. 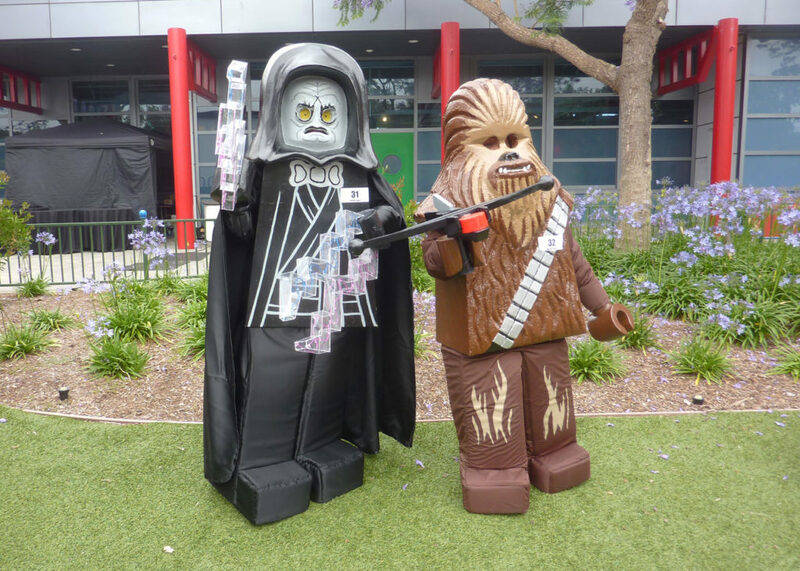 “Since opening in 2011 and with the most recent major addition of LEGO Star Wars: The Force Awakens Miniland Model Display, LEGO Star Wars Miniland has become one of the most popular areas for children and their parents,” said Peter Ronchetti, general manager of LEGOLAND California. 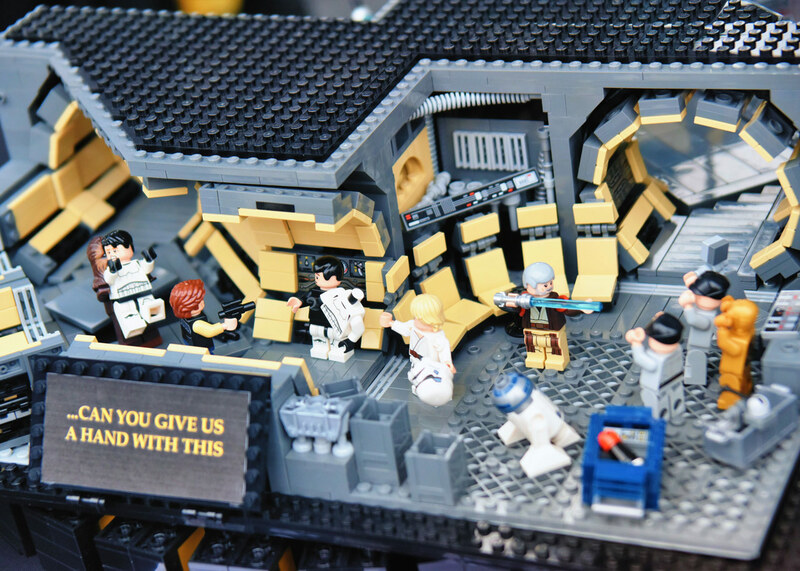 “We are thrilled to host LEGO Star Wars Days and enjoy two full days of galactic entertainment and fun dedicated to Star Wars past, present, and future generations.” Even the newly-opened Jakku display in LEGO Star Wars Miniland had a few new surprises for eagle-eyed fans. Here are a few highlights of the weekend. 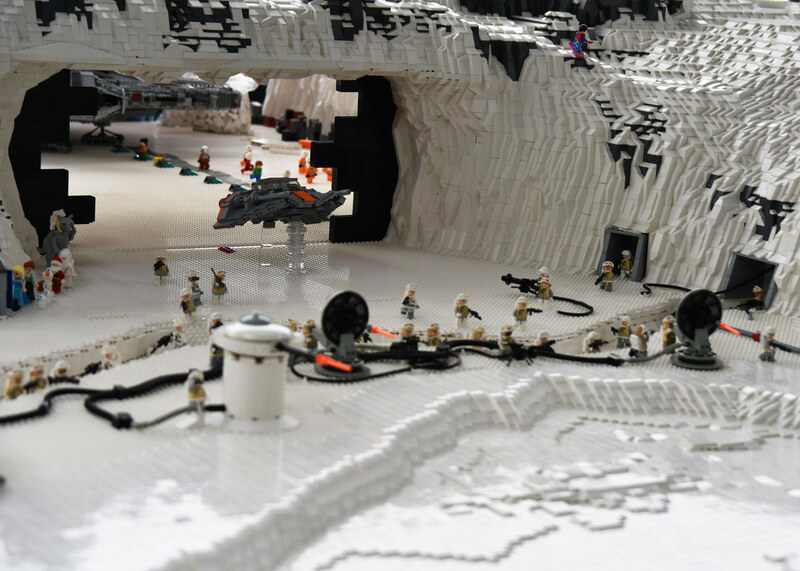 While many LEGO Star Wars fans come to see the giant dioramas on display in LEGO Miniland, a few fan builders got to bring their custom builds to display in the LEGO Star Wars Fan Gallery. 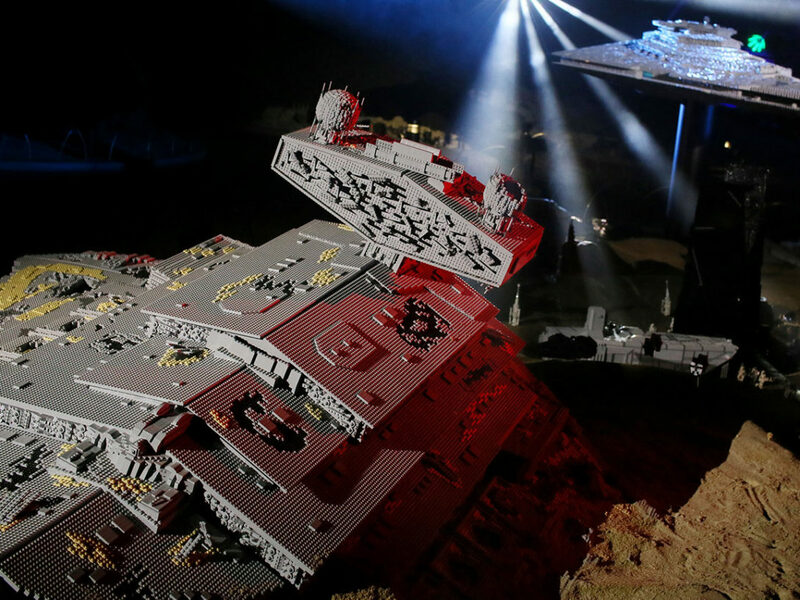 This year, fan builders highlighted special themes such as retelling Rogue One in miniature dioramas, celebrating the 40th anniversary of A New Hope, and turning iconic Star Wars creatures into gladiatorial battle platforms. 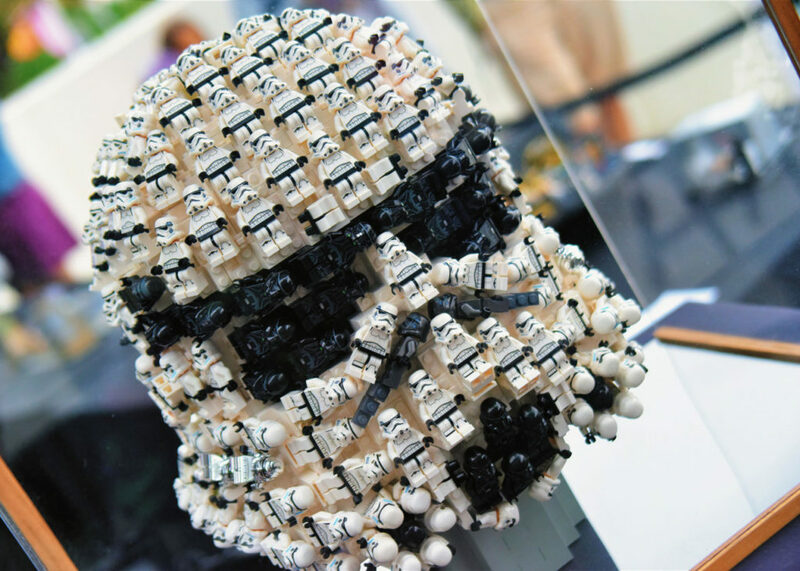 They also showcased their own unique creations, ranging from detailed ship re-creations to more whimsical, building together Star Wars with other ideas, from rock bands to Ferris wheels. The fun of LEGO Star Wars isn’t just limited to the buildable toys, but also the great stories told with them. 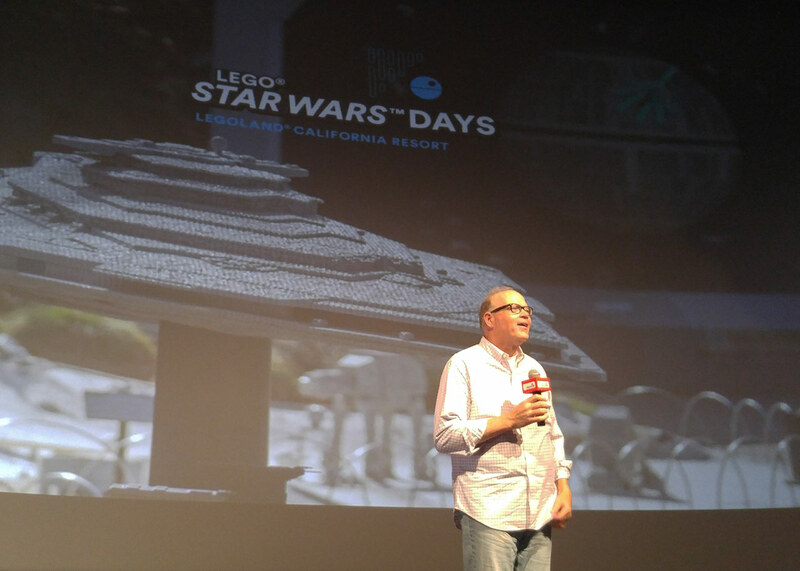 Over at the LEGO Show Place Theater, they ran a special screening of all five episodes of LEGO Star Wars: Droid Tales, and brought Michael Price, the show’s main writer and one of its executive producers, to answer questions from the audience. 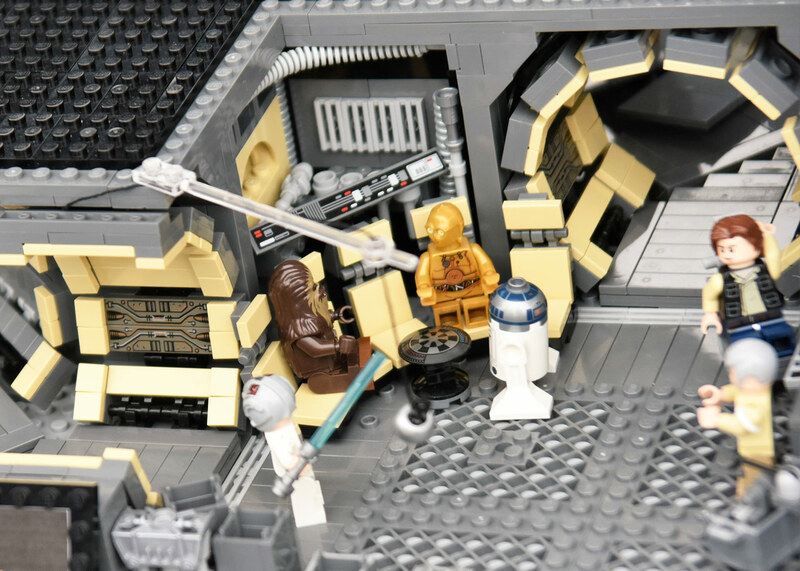 Michael Price discusses LEGO Star Wars: Droid Tales. “Writing and producing the Droid Tales series was the capstone on five wonderful years of working on LEGO Star Wars,” Price later told me. 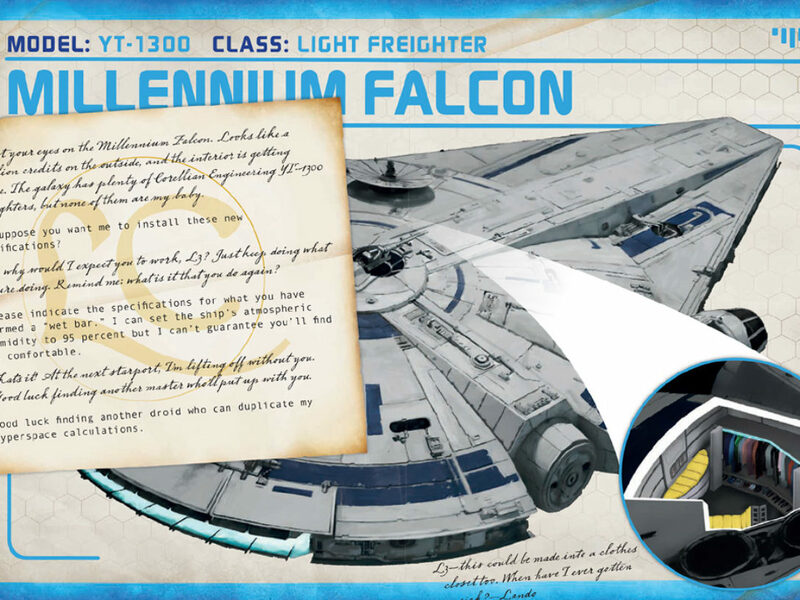 “It was such a joy to be given permission to mess around with these classic characters and stories and retell them for young first time Star Wars viewers and their superfan parents. It’s an experience that I’ll cherish for the rest of my days. 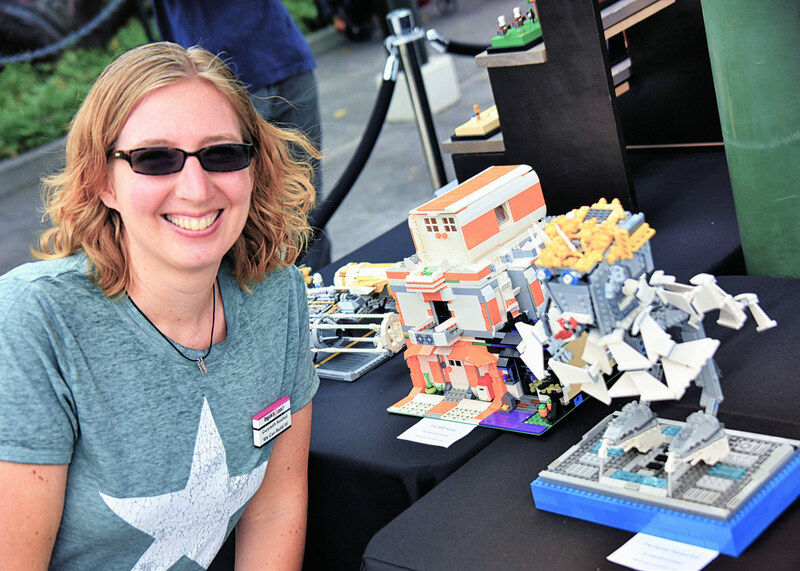 I can’t thank LEGO and Lucasfilm enough for letting me play in their sandbox.”The Emmy-award winner continued, “It was amazingly fun to watch the shows with a big LEGOLAND crowd of kids and parents. As a TV writer, I almost never get to see my work with a live audience, so this was a special treat, only surpassed by getting to meet some of the littlest LEGO Star Wars fans and hear them talk about what they liked about the shows, LEGO, and Star Wars.” One highlight was when a young fan told Price her favorite Darth Vader joke from an episode of Droid Tales, and it turned out to be Price’s favorite as well. 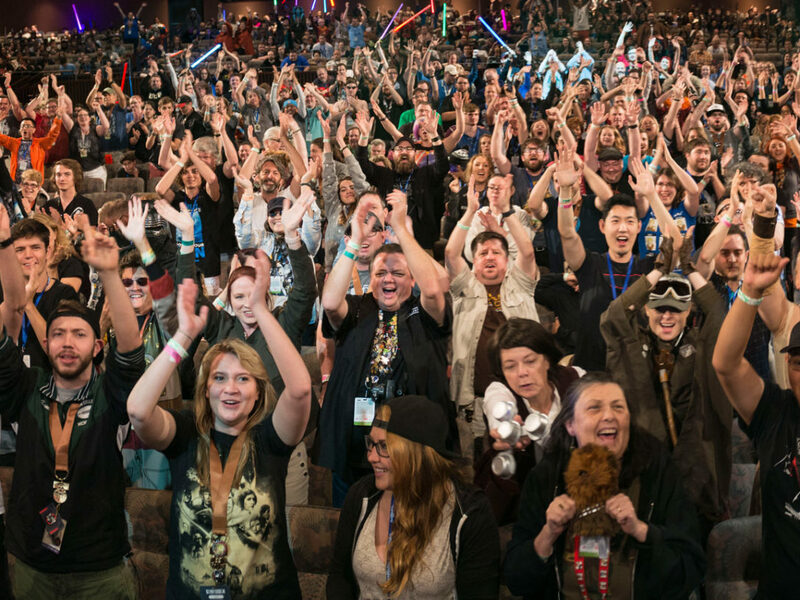 One audience member asked why Price chose to tell the story of C-3PO and R2-D2, and he responded, “We knew for this series that we wanted to retell all the movies but we also wanted a story that was its own story to connect each retelling. I love C-3PO and I love R2-D2 and we were so lucky to have Anthony Daniels, who plays C-3PO in the movies, to voice C-3PO. He’s wonderful. Plus since Threepio and Artoo are in all the movies, it seemed like a natural way to tell the whole story. We came up with this idea of having C-3PO chasing R2-D2 through the galaxy and everywhere he goes, he stops and tells the story of what happened next in the saga. 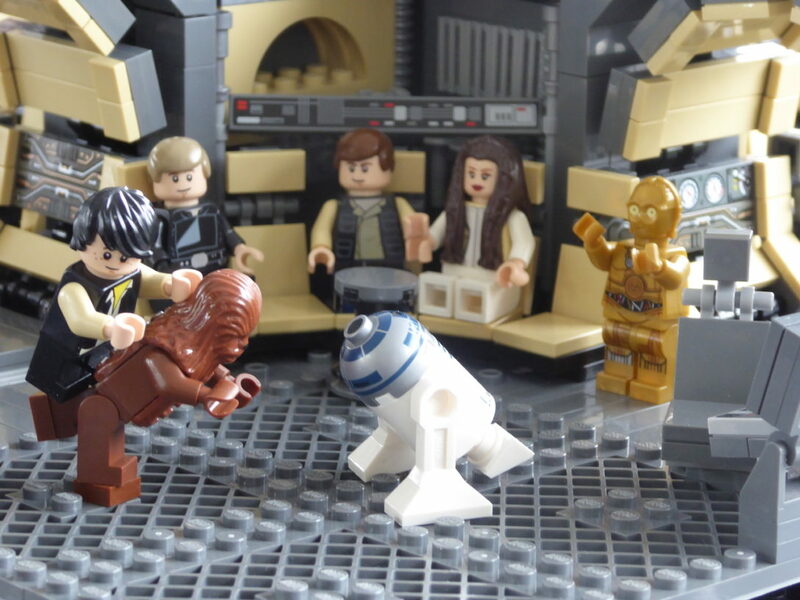 Price also gave a little history of Droid Tales, which was developed as a fun way to retell the existing films in LEGO form to lead into the release of The Force Awakens in December 2015. 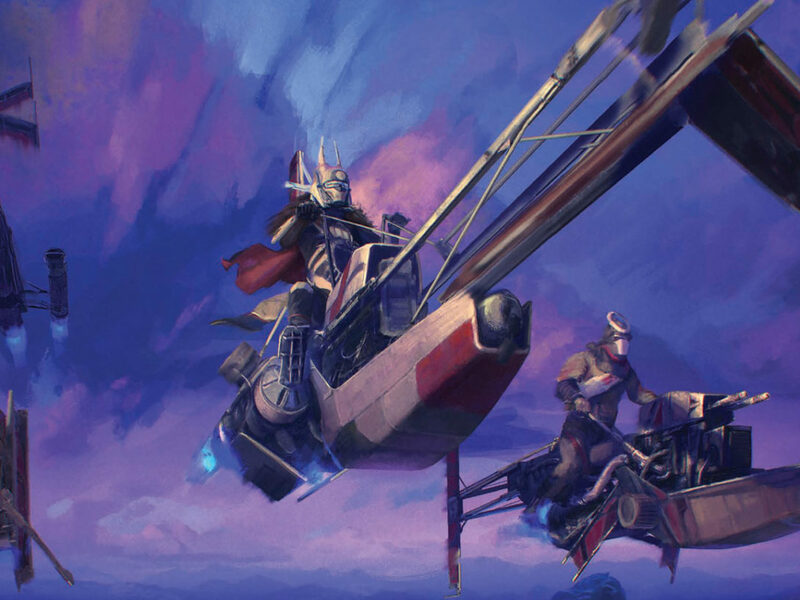 The writing started in March 2014, with the penning of all five episodes finished around July of that year, and then computer-based animation production was completed in July 2015 so that it could air before the release of The Force Awakens. He also talked about his work writing for the LEGO Star Wars specials from The Padawan Menace and The Empire Strikes Out (his favorite because it’s the most crazy) to The Yoda Chronicles series and The Resistance Rises shorts that came out after The Force Awakens was released. 3. All kinds of contests. 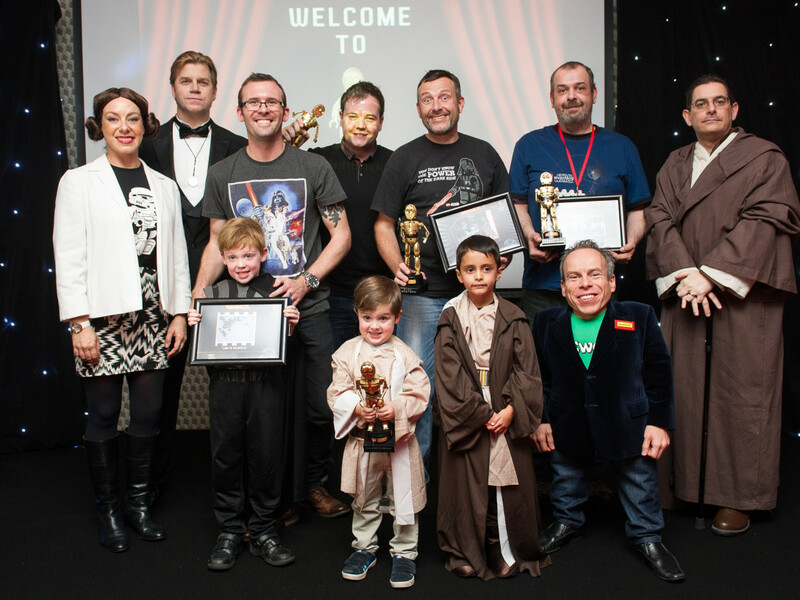 There were plenty of opportunities for the younglings to show off their Star Wars and LEGO skills over the weekend. Each day hosted a costume contest, several trivia contests for different age groups, and a family build challenge. 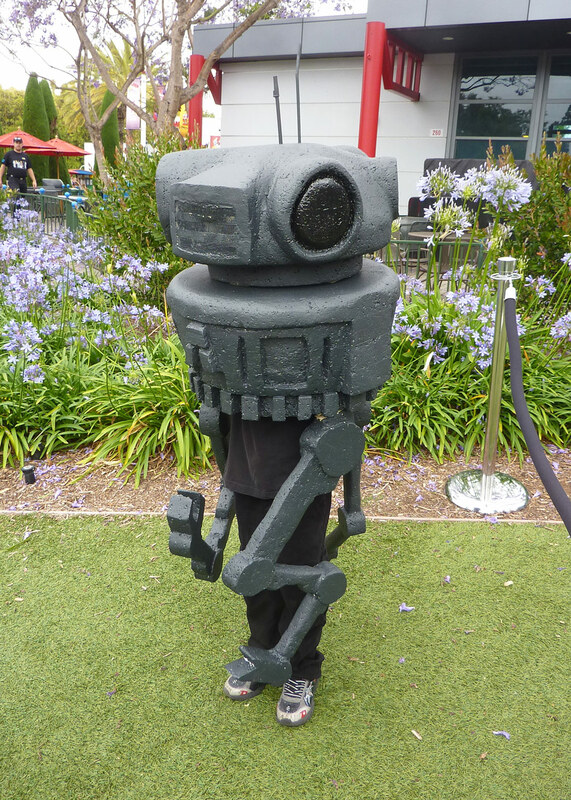 Saturday’s costume contest was won by Declan Smith in his probe droid costume. His father, Jason, confirmed it took 15 hours of work to sculpt and paint a Styrofoam probe droid that would fit over Declan’s head. But when it was on, Declan made the droid come to life on stage, staying totally in character while the LEGOLAND stage emcee, Jedi Philip, interviewed him. Second place went to Jordan Currence, whose LEGO Emperor costume included light-up LEGO lightning that emitted from his C-shaped minifigure hands. Matching Jordan’s LEGO style was his sister Laurana in her LEGO Chewbacca minifigure costume! 4. Clubs in the house. 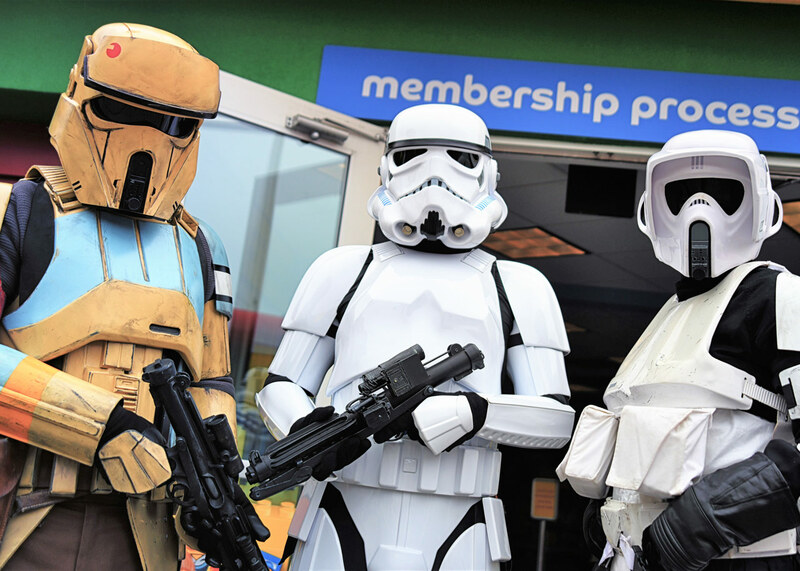 To make LEGO Star Wars Days even more special, LEGOLAND turned to the local chapters of fan organizations for their expertise and enthusiasm in doing costumed appearances. The park kicked off each day with a huge procession of Star Wars characters in the entry area to mark the opening of the park, and continued with meet and greet opportunities throughout the day, both with the Death Star corridor backdrop from the 501st Legion’s San Diego chapter, the Imperial Sands Garrison, in front of LEGOLAND’s central lagoon, and with characters roaming LEGO Star Wars Miniland. And the clubs were up to the challenge. 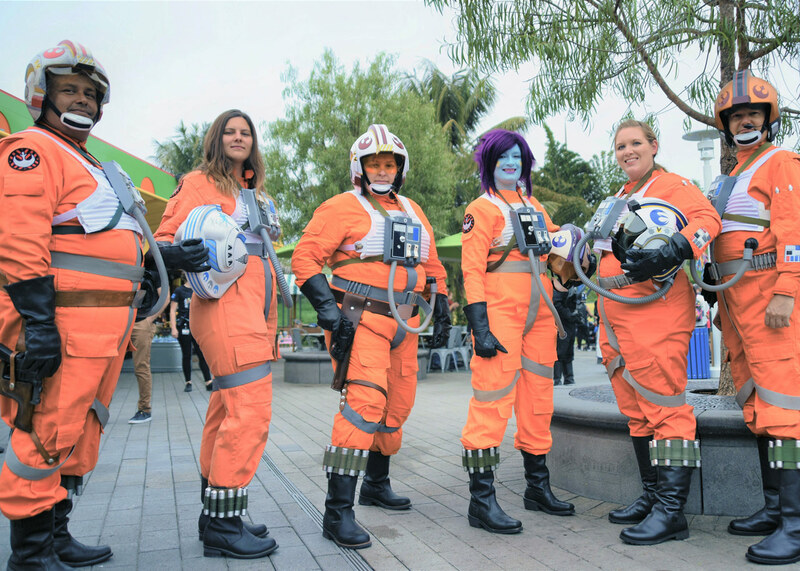 “This year we had a total of 145 costumers and wranglers participating in this event across two days from the 501st Legion, Rebel Legion, Mandalorian Mercs, Saber Guild, and R2 Builders clubs,” said Lesley Farquhar, commanding officer of the Imperial Sands Garrison, who headed the coordinated effort between all the clubs. “We have been participating in this event since 2006 and every year it gets better and its one of our favorite events every year — we always look forward to it. The fans are wonderful to share the event with and so very appreciative, we love seeing all the little smiles and high fives from the kids.” With costumed characters representing every Star Wars film plus The Clone Wars and Star Wars Rebels shows, every fan could find one of their favorite characters to pose with for a photo op. Park attendees had two different searching-game experiences available over the weekend. First, there was a LEGO Star Wars Miniland scavenger hunt. The Raymond family searched for answers at the model display showcasing the Battle of Geonosis. “You basically have to follow clues, and fill in the words, and use that to guess the riddle at the end…” explained Chris. 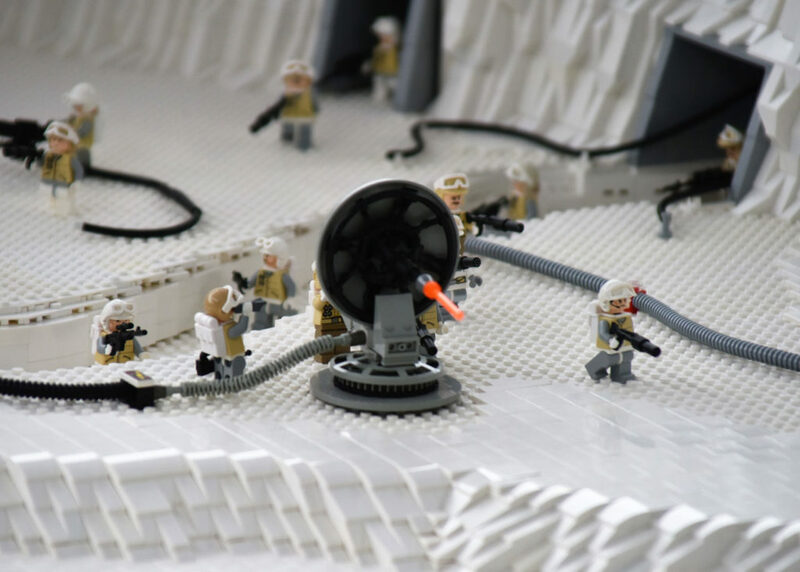 “…using everything around Star Wars Miniland,” his wife Fran added, while their sons scrutinized the arena encounter and massive battlefield displays for the answer to one question. There was also a Droid Hunt, similar to the Droid Hunts organized by the 501st Legion at various conventions, where fans wearing exclusive Droid Hunt ribbons were the hunted rather than the hunter — but in this game, fans want to be caught by the costumed characters, as that makes them eligible for a raffle for cool prizes at the end of the day. 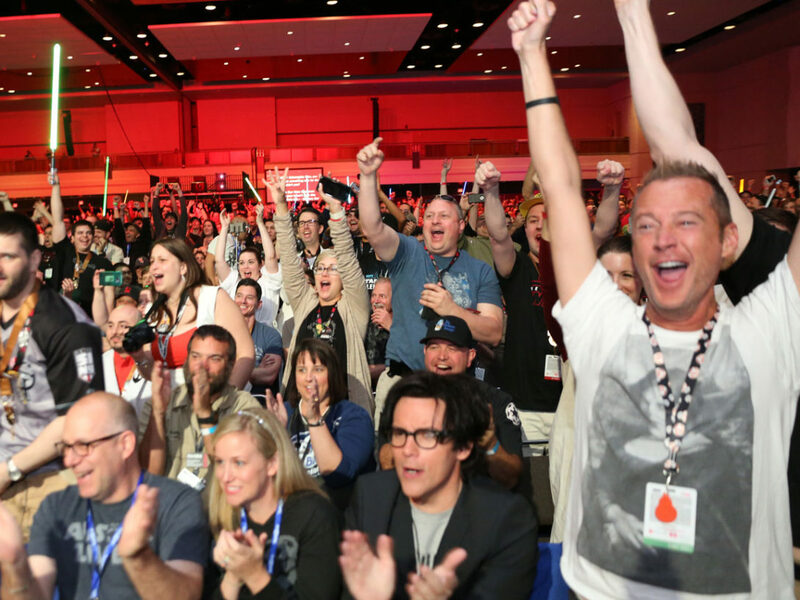 With all the different happenings for LEGO Star Wars Days, you couldn’t build a better celebration of the Force. 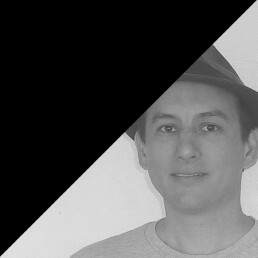 Photos by Brian Sims and James Floyd.